White light Scanners, also known as "structured-light scanners", work by projecting a pattern of light onto an object and then analyzing how that light bends around the geometry. 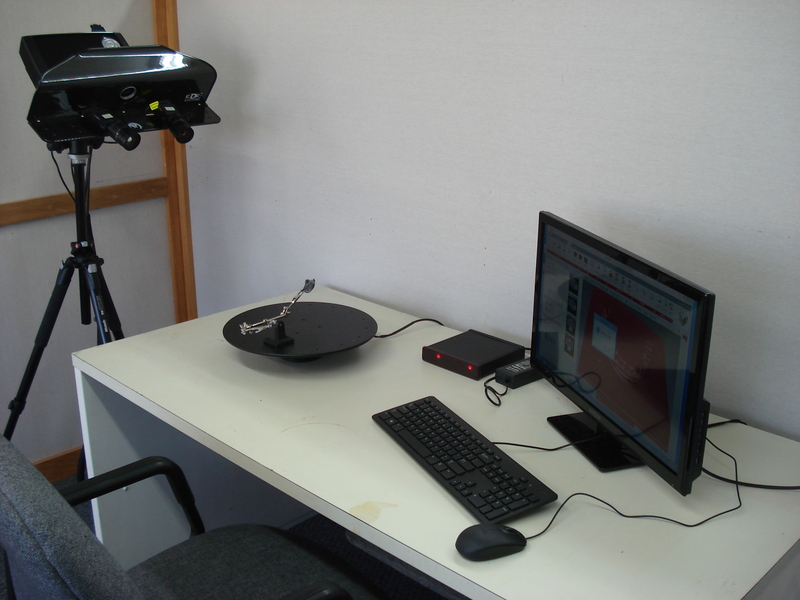 White light scanning tends to be the most accurate and most detailed method of scanning. High definition cameras can capture several million points of measurement in seconds.